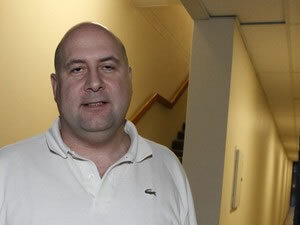 What’s happened to alleged Ponzi scheme mastermind and resident of Runaway Bay Barry Tannenbaum? 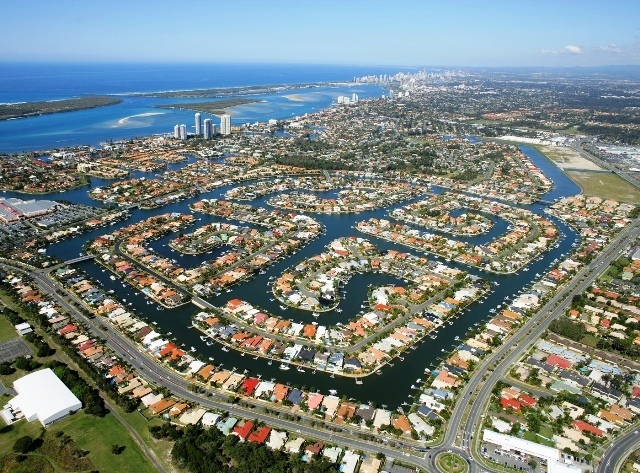 In 1972, work begun to turn 182 hectares of tidal Gold Coast wetlands north of the Southport Broadwater into a canal-lined residential subdivision. Real estate developer Neil McCowan and advertising agent, John Garnsey coined the new suburb ‘Runaway Bay’ with the idea of promoting the area as a tranquil escape. Take a stroll along the Runaway Bay marina today with its views of the Surfers Paradise Manhatten-esque skyline and bobbing yachts and luxury cruisers at berth and you may pass by a portly, bald man with a strong South African accent. It might just be Barry Deon Tannenbaum, now a resident of the palm tree-lined suburb and the alleged operator of South Africa’s biggest Ponzi scheme, where he now claims to work as an insurance adviser. When Tannebaum’s name last appeared in the Australian press more than three years ago he was a resident of Runaway Bay, having fled the South African Jewish enclave of St Ives, Sydney when news of the scheme broke. Indeed, Wikipedia lists, as Runaway Bay’s only notable resident: “Alleged Ponzi scheme mastermind, Barry Tannenbaum”. 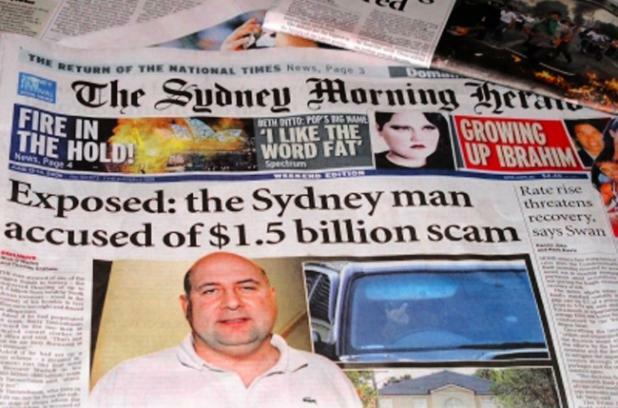 Around six months prior to this mention in the Fairfax press, the Sydney Morning Herald had run as its June 13 Weekend edition front page story: Exposed: the Sydney man accused of a $1.5 billion scam. In the last three years, hardly a word about Tannenbaum has made it into the mainstream Australian media, despite new damning revelations in South Africa. A failed attempt by the South African trustees of Tannenbaum’s bankrupt estate to take control of his Australian assets in the Queensland Federal Court in August last year also passed without mention, despite the judge noting that “substantial funds sourced from South Africa were transferred to Australian entities controlled by [Tannenbaum] and his wife”. Funds allegedly stolen from hundres of investors (some who lost all their savings) and squandered by Tannebaum before fleeing South Africa. The tag of “mastermind” (one rejected by Tannenbaum) is given by none other than the South African Revenue Service (SARS), in recently leaked documents published on finance website moneyweb.co.za. They reveals that he owes nearly $80 million in taxes, interest and penalties as part of undeclared income earned when he allegedly perpetrated one of the biggest corporate frauds in South African history. According to SARS, Tannenbaum under-declared his income between 2004 and 2009 by 444 million rand ($47 million) and now owes 747 million rand ($79 million) in tax, penalties and interest. By investigating Tannebaum’s 26 bank accounts, SARS discovered that these bank accounts had inflows of 3.91 billion rand ($415 million) of which 3.05 billion rand ($324 million) was paid out to “investors” and “agents” in the scheme. Over this five year period Tannenbaum paid tax of just 142,000 rand ($15,000). Despite these very large sums, they are only a fraction of a purpoted 15 billion rand ($1.5 billion) accrued through an alleged ‘Ponzi’ scheme that drew in 378 investors, including the wealthy and the not so wealthy in the close-knit South African Jewish community by inducing them to invest in his company Frankel International (of which he was the sole trustee), which traded under the name Eurochemicals. Investors were enticed with offers of very high returns by allegedly forged purchase orders to supply the active ingredients for anti-retroviral drugs (used in the treatment of HIV and AIDS) to drug company Aspen Pharmacare – this in a country with one of the highest HIV infection rates in the world. One purchase order was said to be for 700 million rand ($74 million) – denied outright by Aspen. Adding believability to the scheme were two things; firstly that the Tannenbaum’s were a well-known, wealthy and respected Jewish family in South Africa and secondly, they have a deep connection to the local pharmaceutical industry – Barry Tannenbaum’s grandfather Hyme was the founders of South Africa’s largest over the counter pharmaceutical company, Adcock Ingram, now owned by Tiger Brands. The Tannenbaums sold their stake in the business in 1978. Frankel Chemicals was subsequently founded in 1983 as an intermediary in the supply chain of drug compounds. Between 2004 and 2009, Barry Tannenbaum, as director of Frankel, is said to have engaged the services of a number of high-profile businessmen in South Africa as “agents” – the original investors in the scheme and at the top of the pyramid – to sell the idea to other investors that they could more than double their money by making short term (8 to 12 weeks) advances for the purpose of enabling the purchase and importation into South Africa of pharmaceutical ingredients. In a Ponzi scheme the early investors are paid dividends from investments made by later investors, rather than from any actual profit earned by the company. I know of friends in South Africa induced to invest who lost all their savings. The sense of Tannenbaum’s betrayal of their trust remains palpable since the story was broken by South Africa’s the Financial Mail in July 2009. The SARS investigation, which drew in all the major South African government institutions and auditors KPMG, came to the conclusion that “Tannenbaum was indeed the mastermind and operator of this illegal multiplication scheme”. Following the article in the Sydney Morning Herald and other Fairfax papers in June 2009 as well as the ABC, Tannenbaum professed his innocence claiming in a letter to the press that “categorically” he was not “sitting with millions”. “I have not amassed some fortune that I have spirited away, and in due course an audit will bear out this statement, if people are still interested in hearing the truth,” he said before all but disappearing from the public eye. In January 2010, the last mention of Barry Tannenbaum in the Australian press appeared when Fairfax ran a story about him fleeing St Ives for Runaway Bay. It was reported soon after an arrest warrant had been issued for Tannenbaum by the South African police. The short piece said he had fled “a stuffy little office above a strip of shops around the corner from his St Ives home “ only to “pop up in the Surfers Paradise suburb of Runaway Bay”. As an Australian resident since mid-2007, Tannenbaum has received the full legal protections of the Australian judiciary system. Efforts by South Africa to get Australia’s co-operation in the matter have proved fruitless. In August last year, the Queensland division of the Federal Court declined an application by the South African trustees of Mr Tannenbaum’s bankrupt estate to administer and realise any assets he had accrued in Australia. The ruling was made on the basis that South Africa was not the ‘centre of the debtor’s main interests’ as he had “severed all ties” with the country of his birth. The Australian court documents confirm what is known in the SARS investigation – that Tannenbaum raised $390 million between 2004 and 2009. Of this vast sum, just 0.05% was on-loaned by Tannenbaum for the purpose of purchasing pharmaceutical ingredients. According to the court documents, 44.8 million rand ($4.78 million) was used by Tannenbaum for personal transactions “with a substantial portion being spent on gambling”. He transferred US$31.7 million into an account held by Bartan Group Pty Ltd (Bartan – shortening of ‘Barry + Tannenbaum’), an Australian incorporated company, with an ANZ Bank account, now in liquidation. Of this money, US$14 million was transferred into other entities controlled by Tannenbaum or to persons associated with him. The sole shareholder of Bartan is another Australian incorporated company, Bardeb Nominees Pty Ltd, with shares held solely by Tannenbaum and his wife, Deborah. Bartan was wound up by an order of the Supreme Court of New South Wales on 9 March 2010. The Federal Court court documents note that a report issued about Bartan’s affairs in April 2010 was “noteworthy for its paucity of information concerning the affairs of that company” but does include assets of $586,523 (made up of $150 in cash with the balance being investments in two other entities) and contingent assets of some $21 million. During the court case, Tannenbaum claimed he had assets of less than $8,000 and just $1,700 in the bank while his liabilities where $90,000 on his credit card, an $85,000 loan from “friends” and $185,000 vehicle finance lease. Telling Judge Logan remarks: “It may very well be that his decision to quit South Africa was inherently bound up with a desire not in the future to be dealt with under the law of that country in respect of his involvement in the scheme described and a related desire to enjoy the benefits of proceeds repatriated to Australia. Tannenbaum declined to reveal his Queensland address, claiming he did not have a permanent home, directing the court to a Sydney solicitor. According to SARS, the money Tannenbaum earned was paid into various companies of which Tannenbaum was either a director or member – nine registered in South Africa and five in Australia, including the Bartan Group and Frankel International. Julian Assange may be left to wolves by the Australian government, but Barry Tannenbaum, the alleged mastermind of a $1.5 billion fraud has disappeared from view and may very well be living the good life on the Gold Coast, enjoying walks along the marina, eating fresh seafood and feeling the warm sun on his skin. While Bernie Madoff will remain in jail for the rest of his life, not a single charge has been laid against Tannenbaum in Australia despite a mountain of evidence back in South Africa. He refuses to return to South Africa and face the charges, even though he claims he is innocent. In Australia he appears to be protected and untouchable and living in, of all places, Runaway Bay. 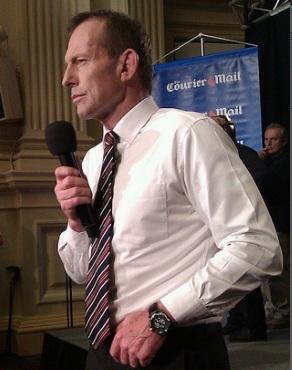 Tony Abbott as PM: a return to old Australian stereotypes? It seems that barring a political calamity of some sort (or perhaps the return of Kevin Rudd), Tony Abbott will become our next and 28th prime minister in September. Two article in the February issue of The Monthly magazine, (which I picked up belatedly in the library), made me think more deeply about what sort of country we may become under a Coalition government with Abbott at the reins. “He spent much of last year dressing up in hard hats and other tough-guy equipment and taking part in long-distance quad and pushbike rides. “He has competed in an iron man contest. And he has started this year by inviting the media to photograph him in the guise of a fearless firefighter. The second article has nothing much to do about the current political climate in Australia, but does provide some insights into overseas perceptions of the country. New Zealand-born writer and artist Nic Low, describes a trip he took with other Australian artists and writers to attend ‘Bookwallah’ in India – an international writing festival – where he travelled the vast country by train with Indian writers. In Goa Low writes that the question is asked about attacks on Indian students in Melbourne while in Chennai racism rears its head with “a suggestion that Australia resembles apartheid-era South Africa”. “Beyond polemics, the questions reveal a lingering stereotype of Australia. As [Australian writer Kirsty] Murray puts it ‘It’s an idea of Australia from a generation ago’. Whatever the deep divisions in the current government, divisions that will likely see it ousted from power in September, the Labor government of the Gillard-Rudd era ushered in a new vision of Australia to the world. With Rudd there was the historic apology to Aborigines and the ‘Stolen Generations’, acknowledgement of climate change, implementing a fairer industrial relations system and development of the National Broadband Network, that despite its criticism will serve Australia well in the years ahead. Gillard, for her part, put the idea of Australia as an inherently male-dominated society in its place with her rise to be the country’ first female leader while also introducing policies like the National Disability Insurance Scheme and pushing through the contentious, but ultimately necessary carbon tax. In short Rudd and Gillard, whatever their shortcomings (of which there are many), have ushered in a new, more progressive image of Australia to the world. Sadly, what lies ahead is regression led by a macho, uber-male prime minister and his inner sanctum of mostly male ultra-conservatives. As pointed out by Melbourne academic Leslie Cannold, Coalition hardliners Julie Bishop and Sophie Mirabella are the only two females out of 20 in Tony Abbott’s shadow cabinet compared with four (including Gillard) in the current Labor government. Make no mistake, sexist views will be less harshly criticised and less harshly judged under a government led by a man, whose most famous piece of clothing is a speedo. Even beyond the Coalition – just look for a moment at some of the other political candidates – conservative Queensland senator Bob Katter, whose trademark is a cowboy hat and mining magnate Clive Palmer, who is turning the Coolum Resort he owns on the Sunshine Coast into a monument to himself complete with a wall of framed portraits in the lobby and a new museum featuring a collection of his classic cars. This evolving male chauvinistic attitude is most evident in the denigration of Julia Gillard as the election draws nearer. Add to these the recent revelations (though not in any way ‘news’) of “demeaning, explicit and profane” emails sent by senior male army personnel denigrating women and I wonder if we are indeed quietly setting ourselves up in the word’s of The Age’s columnist Greg Baum: “…as a land of sexist, racist, bullying troglodytes”. This fetid atmosphere is only going to get worse when Abbott takes charge, a man who in his university days was apparently not averse to throwing a punch to make his point and intimidating student rivals, even if they be women. 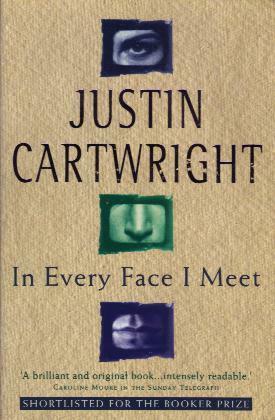 “In Every Face I Meet” is a 1995 Booker Prize-shortlisted novel by Justin Cartwright that takes place over the course of a single, pivotal London day in February 1990 in the life of melancholic forty-something business executive Anthony Northleach. Northleach, a former talented rugby player (he once trialed for England ‘B’), works for a failing company (what it does is never quite revealed), convinced that the imminent release of Nelson Mandela will fundamentally shift the trajectory of the world, Britain and his own sense of existentialism. Much of the novel is the inner monologue of Northleach – he recalls, with detailed wonder and awe, a brilliant try scored by English rugby captain Will Carling in a weekend drubbing of the French, he remembers pivotal moments from his childhood in the kingdom of Swaziland, he ponders his marriage, a passionate affair he once had, and his friendship with his best mate and fellow former rugby player Mike, whose life is spinning out of control. The secondary storyline is that of Chanelle, a crack-addict and prostitute living in a council estate and her black boyfriend/pimp Jason – sporting a medallion of Nelson Mandela around his neck – living on the outer fringes of London society in the final vestiges of Thatcherism. Without giving too much away, the two worlds – Northleach’s and Chanelle and Jason’s – are on course for a horrifying collision, but what the novel is really about is Northleach’s longing for the past and his disappointment with the present. Indeed, the character of Northleach must contain parts of Cartwright himself – who was born and schooled in South Africa, the son of a left-wing newspaper editor, and who wrote the book in London, when he was in his late forties. I have read “In Every Face I Meet” twice – once while travelling overseas in 2010 and now again, when it turned up in a crate of goods shipped over from South Africa. What’s so enjoyable about reading the book is being inside Anthony Northleach’s head for one day of his life, following him from the office, where he muses about whether his dowdy secretary will ever make it to Thailand, then on the Tube into Soho for lunch in an Italian restaurant with Mike (bumping into Will Carling along the way) where he invites Mike to come with him on his odyssey to Cape Town and finally on his fateful drive home where he encounters Chanelle and Jason. Northleach, despite his many failings, is immensely likeable with his sardonic political and philosophical commentary, and his honest reflectiveness. He (and the novel itself) will particularly appeal to white South African-expats (be they in Britain, Australia or entrenched in any other “safe” country), nearing or past forty that still have a strong sense nostalgia for the old country, especially if you were there at the time Mandela was freed and the inkling of a utopian “Rainbow nation” first emerged. Indeed, the book was a gift from a South African expat colleague and friend who raved about it and was right when he said I would find it immensely enjoyable to read. Looking back to February 1990 when Mandela took his first steps to freedom, they do feel like halcyon days, filled with hope and the prospect of something new and fresh, but also scary and uncertain. We certainly lived through history in the making. Reflecting back on my own life as I fast approach forty – there is much about Northleach’s longings and existential angst that resonates with me. I finished reading “The Most Dangerous Man in the World” just as the trial of US soldier Bradley Manning began in Maryland. 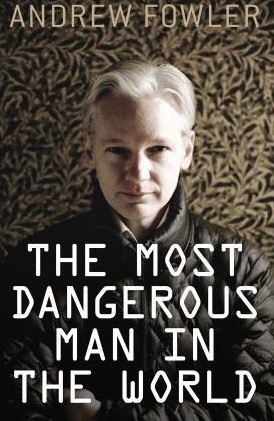 “The Most Dangerous Man in the World” is a biography of Wikileaks founder Julian Assange written by ABC journalist Andrew Fowler. It tells the story of how Assange went from being a teenage hacker in Melbourne to one the most influential and controversial figures in the world. You could certainly not get too more different characters than Manning and Assange and yet both are now inextricably linked together by their idealism and bravery. Bradley Manning is by all accounts, a shy, introverted, ultimately decent gay man, who somehow found himself thrust into the intelligence operations of the war in Iraq, and who is responsible for the biggest leak of classified military and diplomatic documents in history. Assange, portrayed in Fowler’s book as an almost Robin Hood like character – stealing the secrets from the richest most powerful nation on earth to give to the world – but also with the touch of Keyser Soyze about him, able to manipulate politicians and journalists, a seducer of women and at times as secretive as the secret organisations he seeks to expose. While Fowler clearly admires Assange for what he has achieved, he is no sycophant and leaves the reader to make up their own minds about the enigma and cult of Julian Assange. How you view Assange and Manning depends on whether you believe governments have the right to keep secrets or whether you believe in the idea of a more transparent and open society. I am one of those people who believe Julian Assange and Bradley Manning are heroes for revealing the many thousands of innocent civilian deaths at the hands of the US government and its allies, most graphically and famously revealed in the “Collateral Murder” leaked Apache helicopter video showing innocent Iraqis, including children, being killed by 30mm gunfire. Fowler reveals how the actions of WikiLeaks have shifted events on the world stage. For example, tweets of a WikiLeaks story about the corrupt dictatorship of Tunisian leader Zine el Abidine Ben Ali lead to his overthrow and political exile. “WikiLeaks was a brilliant example of what has been known for some time: the power of information from a legitimate source, disseminated via social networking systems, to threaten the power of a state and its institutions,” Fowler writes. Similarly the overthrow of Egyptian dictator Hosni Mubarak as part of the Arab Spring after 30 years of an abusive reign (and with the support of the US government), was also spurred on by WikiLeaks documents showing his brutal methods of silencing opposition. Still, there are those who call Julian Assange and Bradley Manning traitors and guilty of the highest form of treason for revealing highly classified military documents. Indeed if Manning is found guilty of high treason (aiding the enemy) he faces spending the rest of life in jail while Assange – now under the protection of the Equadorian embassy in London – faces an uncertain future depending on what steps the US government and its intelligence agencies, supported by other countries including Australia, take to prosecute and silence him. While the US Constitution’s first amendment enshrines free speech and freedom of the press, the US government has argued that 260,000 or so leaked documents WikiLeaks has on its servers, compromises its national security, puts its operatives at personal risk as well as endangers its relationships with other countries. In short they say it is high treason. Equally, in the eyes of the current Labor Australian government, Assange is a criminal, despite having the support (according to Fowler’s book) of a large portion of the Australian public and which will be tested if Assange is able to run for a seat in the Australian Senate in September. Assange is now firmly back in the spotlight with the Manning trial underway. In a post on WikiLeaks, he says Manning is simply on trial for “telling the truth” and that the US has violated its own laws in its treatment of Manning, including that he has been locked up in a “cage” for 23 out of 24 hours, “deprived of his glasses, sleep, blankets and clothes, and prevented from exercising” and held since May 2010 while awaiting trial. Assange appears to have won favour again with the New York Times, a newspaper that according to Fowler’s book both supported the work of WikiLeaks and Assange, but also despised him for his manner, his ego and his ability to play one media organisation against another to achieve his own aims and outcomes. Assange has penned for the New York Times a savage review of a book called “The New Digital Age” written by Google executive chairman and former CEO Eric Schmidt and head of Google Ideas, Jared Cohen in which he accuses Google of going from “an expression of independent Californian graduate student culture” to having “thrown its lot in with traditional Washington power elements, from the State Department to the National Security Agency”. The article reveals Assange to be a gifted writer, highly articulate and persuasive. He would make an excellent analytical journalist. Assange accuses Google of acting like an imperialist power, enforcing its digital views on life and business on the world, whether they want it or not. Google, according to Assange, has become a political animal with sinister overtones. Google’s world vision, he says “heralds the death of privacy for most people and shifts the world toward authoritarianism” – the antithesis of the goals of WikiLeaks, which are a more transparent government but with the privacy of its citizens safeguarded. It is hard to distinguish between WikiLeaks and Julian Assange. Though there is a team of people behind WikiLeaks from donors to programmers to activists, Assange is its driving force, its voice and spokesperson. Fowler’s book reveals Assange to be a difficult person to work with; starting out as a charmer and drawing like-minded people to his noble pursuit of truth like German technology activist Daniel Domscheit Berg and Icelandic politician and activist Birgitta Jónsdóttir and then putting them offsides by unpredictable and secretive behaviour, a hidden agenda and making decisions without consulting with them. WikiLeaks is the Julian Assange show. Holed up in the Ecuadorian embassy in London , Assange recently gave an interview to Sydney University politics professor John Keane for The Conversation academic website. Keane’s interview is more sycophantic then Fowler’s book, but we do get a glimpse of a man who while complaining of the boredom of his “cell” clearly revels in his role as spokesperson for “truth” and appears likeable, still idealistic, but also in the end a realist when it comes to his present situation. “True democracy is the resistance of people armed with truth against lies,” Assange tells Keane. In an editorial ahead of the Bradley Manning trial on WikiLeaks, Assange asserts that the dice are already loaded against the soldier, describing it as a “show trial” where “24 prosecution witnesses will give secret testimony in closed session”. “This is not justice; never could this be justice.” Assange writes. In the end its does not matter whether you like Julian Assange or not – Fowler’s book lets readers make up their own mind. What is important are his ideals, which are decidedly noble and good. “In the end it is not Bradley Manning who is on trial. His trial ended long ago. The defendant now, and for the next 12 weeks, is the United States. A runaway military, whose misdeeds have been laid bare, and a secretive government at war with the public. They sit in the docks. We are called to serve as jurists. We must not turn away,” writes Assange with masterful elegance.